Toronto’s premier art gallery for important contemporary and historical art, Odon Wagner Gallery is dedicated to exhibiting paintings and sculpture by established Canadian and International artists. Established in 1969, Odon Wagner Gallery specializes in the sale, purchase, in-house restoration and framing of fine 19th and 20th century European and International art. With over 75 years of combined experience from the world’s leading art institutions including the Louvre (Paris), the Royal Ontario Museum (Toronto), and The State Hermitage Museum (St. Petersburg), our framing and restoration experts will professionally assist you with your collecting needs. Born in Hungary in 1944, Odon Wagner’s passion for fine art was nurtured as a student in the Academy of Applied Arts in Vienna where he graduated an Akademischer Konservator (Professional Conservator) after four years of training. His education led to work in the conservation departments of well-regarded institutions such as the Louvre Museum in Paris, the Vienna Prehistoric Institute, and the Royal Ontario Museum in Toronto. Rafael Wagner completed his Bachelor of Arts (Honours) degree at Queen’s University at Kingston, Ontario in 1995. Thereafter he operated a small business for several years, as well as being employed at the Gallery which included participation in the fine art fairs of Hong Kong, Singapore and Miami. Rafael joined the Gallery full-time in 2004 after reading law at the University of Windsor. Rafael was also a member of the Granite Club’s Art Society Committee. After completing her Masters in Art History from the University of Toronto, Meghan moved to Italy for three years teaching art history and English, while also working with the Palladio Museum in Vicenza. During her time at the University of Toronto she worked as the Social Media Manager for the University Art Museum and as a catalogue writer for ArtCan, a national research project on Canadian Art. Meghan graduated with a Bachelor of Arts (Honours) in Art History from Queen’s University, with a semester spent at University College Dublin. 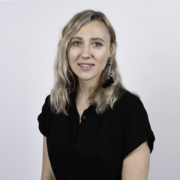 Having a combined 8 years’ experience in art consultation, professional photography, art writing and exhibition planning, Krista brings her industry background to the team. Alongside her emerging artistic practice, Krista has received an Honours double major in Visual Art and MIT with a certificate in Professional Writing from Western University. After her recent completion a photography practicum at the Banff Centre for Arts and Creativity, she is happy to rejoin the Toronto art world. Cynthia has been with the Odon Wagner Gallery for over twenty years. She received her fine arts training in both Kingston and Ottawa and studied arts conservation techniques in Peterborough, Ontario. After an internship at the Royal Ontario Museum in Toronto, she began working for Odon Wagner, specializing in the conservation, restoration and framing of paintings and works on paper. Concentrating in the area of painting conservation, Nelli also provides restoration services, applying over twenty years of professional experience from both Europe and Canada. Nelli graduated with a Bachelors degree from the Institute of Fine Art in Lviv, Ukraine and received additional training at the National Museum in Kyiv and the Hermitage in St. Petersburg, Russia. She then went on to work at the National Museum in Lviv. Nelli has been with the Odon Wagner Gallery since 1997.